ITM4 Viewports are available from 1" up to 4" door thickness. Custom sizes range from 6" x 6" to 24" x 24" with non-thermal break or thermal break viewport glass options. Standard viewports are 8" x 8", 8" x 12" and 12" x 12" viewing size. Viewport Kits are easy to install in the plant or on the job site. No drilling, no messy caulking! Broken glass? Just order a Viewport Kit for those last minute field replacement jobs! ITM4 Viewports were tested by an independent laboratory and are safe for viewing UV-C germicidal lamps. All ITM4 Viewport models are available in kit form for your access doors. Also available for field replacement situations. Easy installation instructions are available upon request. 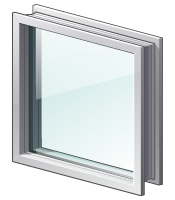 Non-Thermal Break Viewports are available from 1" up to 4" door thickness and come standard with 1/4" single pane laminated clear glass. ITM4 Viewports were tested by an independent laboratory and are safe for viewing UV-C germicidal lamps. 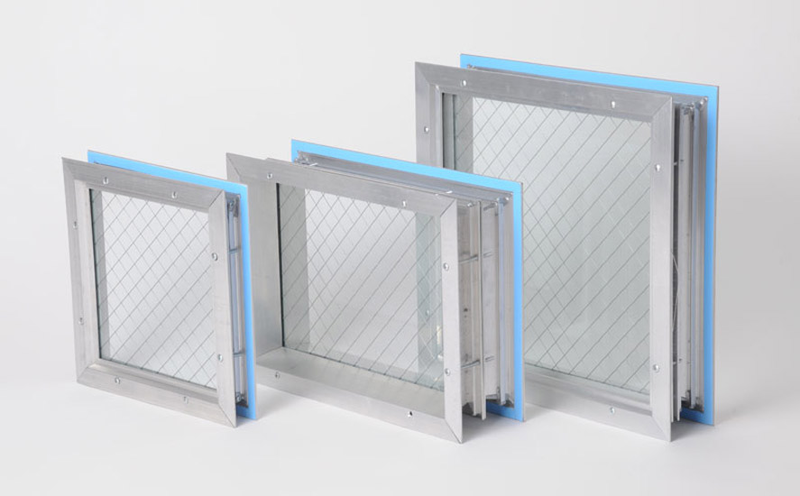 Same great features as the Non-Thermal Break VP Series but with a thermal pane insulated glass assembly (1/4" laminated clear, desiccant and capillary tubes and 1/4" clear tempered). Our APEX Plus and Genesis doors, panels, viewports, and plenum walls can be custom built to meet your specifications. We can create a custom sizing solution for any project. Contact us directly or become a Member to learn more about our custom options.